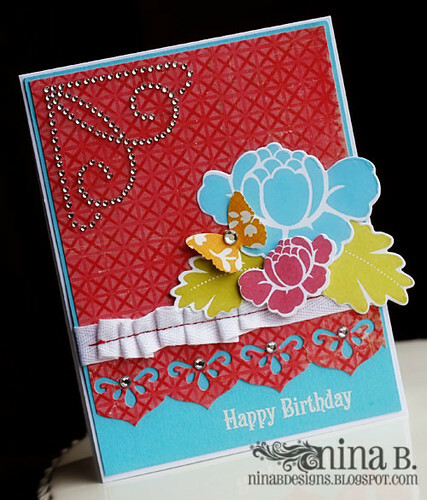 I have two cards for you today that were shared in the Want2Scrap blog yesterday. I did a little bit of "surgery" to make the bling fit my needs. 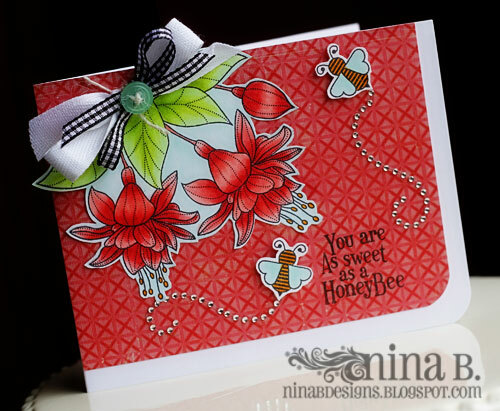 :) My first card uses the Want2Scrap Beautiful Bling Endless Waves as the flight trails for the stamped bees. These swirls are just perfect for that. I stamped and colored with Copics The Craft's Meow Celebrating You stamps. I mounted them with foam dots and added a double bow for more dimension to my card. 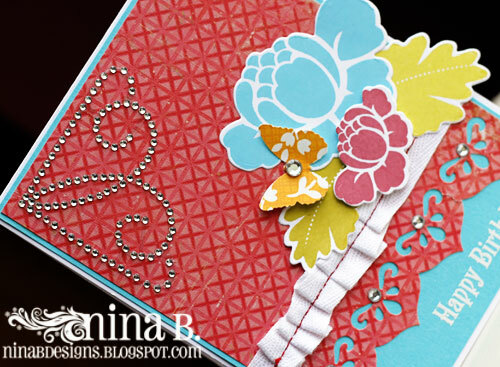 My second one is a bright cheery flower card that uses the Want2Scrap Classy Corners Bling. I removed the side swirls to fit on the corner of my card. What do you think? I will use the swirls on a later project. I just love how the bling add elegance to the card. I die cut the bottom of the red paper with Spellbinders Classic Edges 2 and Classic Decorative Inserts 4. I stitched some pleated twill ribbon and layered the stamped flowers and leaves on top. I added rhinestones on the decorative border and butterfly using Want2Scrap 72-count Silver Rhinestones.The sentiments (from The Craft's Meow's Timeless Tags set) was heat embossed with white on the bottom right side of the aqua panel. 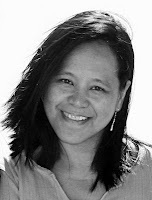 Beautiful cards, Nina! Love the reds on your cards. 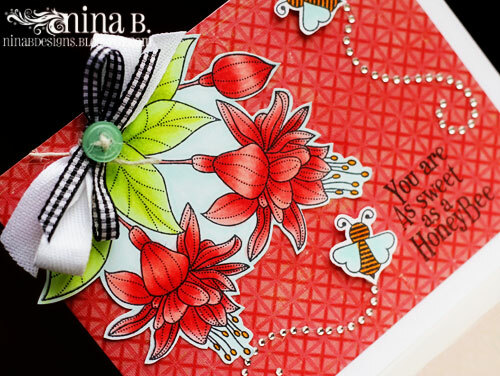 Love your use of Papertrey's Rosie Posie set - isn't it gorgeous?? Gorgeous cards! Such stunning designs and I adore what you did with the W2S bling! Crafty Friends' Vintage Tag and Winners!